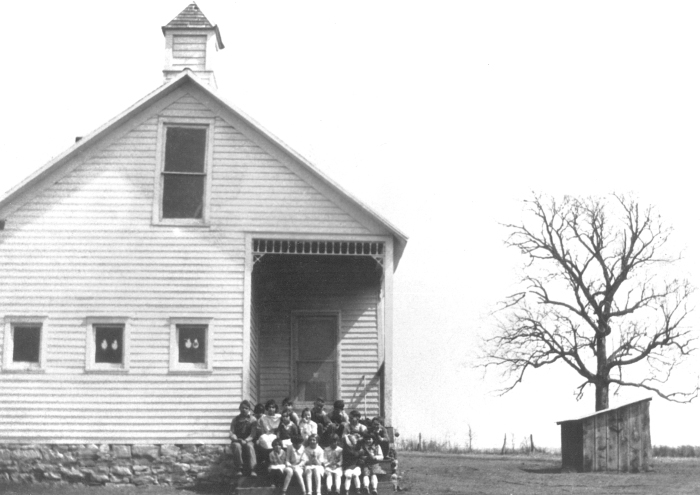 Hickory Grove grade school class sitting outside of their one-room school house. Midway One-Room Schoolhouses Collection . Hickory Grove: sch_hick_09. Archives of the Daniel Boone Regional Library. 20 Apr 2019.